Zachary David Alexander Efron, also known by his stage name Zac Efron, is an American actor and singer, whose acting career started in the early 2000s. He later became known as a teen idol for his lead role, Troy Bolton, in the Disney Channel Original Movie, High School Musical. Since then, he has starred in lots of films, including 17 Again, Charlie St. Cloud, Me and Orson Welles, The Lucky One, New Year’s Eve, Neighbors, That Awkward Moment, and The Lorax. Born in San Luis Obispo, California, Zac is the son of David Efron and Starla Baskett, who worked at the same power plant as an electrical engineer and a secretary, respectively. He was raised an agnostic and had never been religious. After his singing ability was noticed by his father at the age of 11, he was encouraged to take singing and acting lessons. It opened more opportunities for him, leading to an appearance in the production of Gypsy. The show ran 90 performances and he was obsessed with the art after that. From then on, he appeared in various theater productions at his high school and worked in the theater The Great American Melodrama and Vaudeville. He also enrolled in singing lessons. 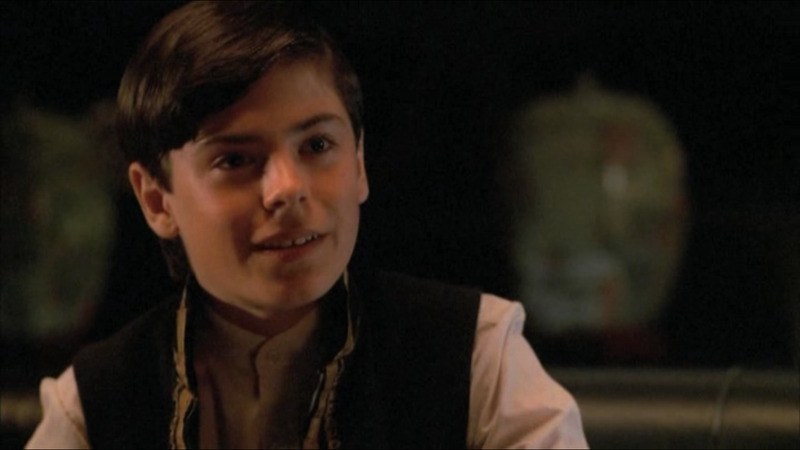 During his early years in acting, he performed in a number of shows, including Peter Pan, Little Shop of Horrors, The Boy Who Wouldn’t Grow Up, and The Music Man. He did so well in his performances that he was recommended to an acting agent in Los Angeles by his drama teachers. Subsequently, he signed up with the Creative Artists Agency. In 2000 and 2001, he joined the Pacific Conservatory of the Performing Arts, where he was given the chance to perform as a “young player”. In 2006, he graduated from Arroyo Grande High School and was accepted into the University of Southern California. However, he postponed his enrollment because he had pending film projects. In 2002, Zac started having guest roles on various television series, such as ER, Firefly, and The Guardian. Two years after, he was cast on the WB series Summerland. Originally, he was introduced as a recurring character, but became a regular member on the show’s second season. Since his appearance on the TV series, he landed guest roles on other shows, including NCIS, CSI: Miami, The Suite Life of Zack & Cody, and The Replacements. Also, he starred in some pilots, which included Triple Play, and The Big Wide World of Carl Laemke. In 2003, he was cast in the starring role of Lifetime’s original television movie entitled, Miracle Run. In the film, he portrayed Steven Morgan, one of the two twins who suffered autism. Because of his performance, he received a Young Artist Award nomination for Best Performance in a TV Movie, Mini-series or Special. Zac made appearances in music videos as well. In 2005, he was the main character in Hope Partlow’s music video for the song, “Sick Inside”. Zac rose to fame when he was cast as Troy Bolton, the famous captain of a school’s basketball team, in the 2006 Disney Channel original movie High School Musical. Initially, the film was made with low expectations. However, it exceeded the channel’s expectations and introduced him to the wider public. Through High School Musical, the young actor became famous among the teen audiences. With the popularity of the film, he needed to change his phone number as fans started calling him. Shortly after the film was released, his songs Get’cha Head in the Game and Breaking Free debuted on Billboard’s Hot 100 Chart. The following week, he had three other songs on the list, which included Start of Something New, What I’ve Been Looking For: Reprise, and We’re All in This Together. At that time, the history of Billboard was broken by Breaking Free. It made the fastest climb, from the 86th spot to 4th in a matter of two weeks. But, the record was beaten by Beyonce and Shakira’s Beautiful Liar, which debuted from the 94th spot to the 3rd within one week. In August 2006, Zac received a Teen Choice Award in the TV Choice Chemistry and Breakout Star category. In that same year, he toured England, Australia, and other locations, along with the other cast members, to promote the Disney film. 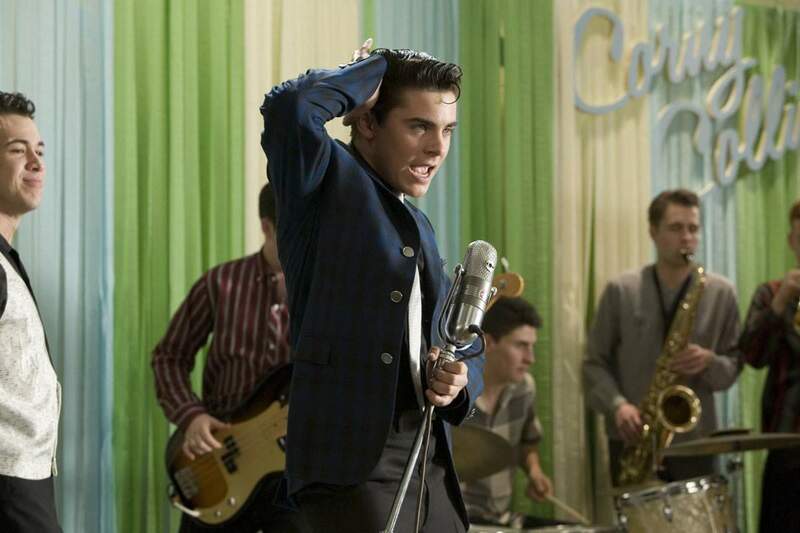 Later in 2006, Zac was chosen to play Lark Larkin in the film version of Hairspray. It was filmed in Toronto, Ontario, where he performed all his songs for the role. In preparation for this, he cut and colored his hair dark brown. He also gained 15 pounds. His performance was met with positive reviews. Because of his commitments in the film Hairspray, he wasn’t able to go with his fellow casts in High School Musical: The Concert. It was Drew Seeley, who took over for him. Zac then played the love interest of Vanessa Hudgens in the music video of her single Say OK in 2007. Also, in that year, he was listed as one of People Magazine’s 100 Most Beautiful People. In it, he was featured in the “Coming of Age” section, where he shared how he was always “the shortest kid in school” and was teased for the gap in his teeth. In August 2007, High School Musical 2 was released. At that time, the reported searches for “Zac Efron” rose to 81%. The film even set a new record, becoming the most watched basic cable program in the United States, with more than 17.2 million viewers. He was also featured on the cover of Rolling Stone’s August 2007 edition. In the article, he revealed that he had hopes to someday play an action hero role. With his good looks, Zac was included in a number of lists, such as Empire Magazine’s 100 Sexiest Movie Stars, Interview Magazine’s Future Stars of Tomorrow, Time Magazine’s World’s 100 Most Influential People, Glamour’s 50 Sexiest Men, and People’s 50 Most Amazing Bodies. In early 2008, Zac was cast in a film based on a novel of the same name, Me and Orson Welles. He played a teenager who became attracted to a career-driven production assistant. It was then released in 2009. Paramount later chose him to star in the upcoming remake of the film Footloose. He said he that he wanted to add his “own little bit of flair” to the role originally played by Kevin Bacon. Unexpectedly though, he dropped the role and he was quoted saying that even if it was a promising project, he “was looking for a new challenge, and this was another musical”. After reprising his role in High School Musical: Senior Year in 2008, he starred in 17 Again. It was a comedy-drama about an adult, who went back to being a 17-year-old. While shooting some scenes for the film, he had to be rushed to the hospital for an emergency appendectomy. He returned to the set two days after surgery. After that, he agreed to play the lead character in the 2010 movie Charlie St. Cloud. He went on gaining further acclaim and landed the second spot on People Magazine’s list of Most Beautiful people in 2011. He then appeared in New Year’s Eve, which was received well at the box office. In 2012, Zac let go of his Disney image and accepted more mature roles. He took the lead in Nicholas Sparks’ novel of the same name, The Lucky One, and provided the voice for Ted Wiggins in the animated film, The Lorax. He also starred in independent films, such as The Paper Boy, At Any Price, and Liberal Arts. Recently, Zac starred in the romantic comedy film That Awkward Moment with Michael B. Jordan and Miles Teller, and the vulgar comedy, Neighbors. Over the past few years, Zac may have struggled with substance abuse and alcoholism. But, he has managed to get back on his feet and to reclaim his reputation, landing roles in note-worthy upcoming films like We Are Your Friends and Dirty Grandpa.